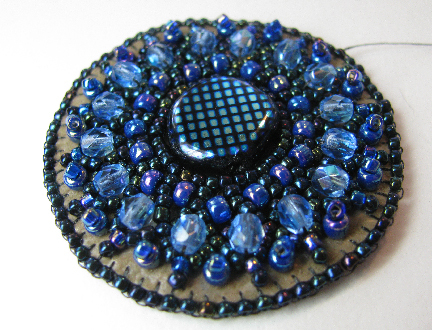 Would you like to learn to use beadweaving stitches to spice up your bead embroidery designs? 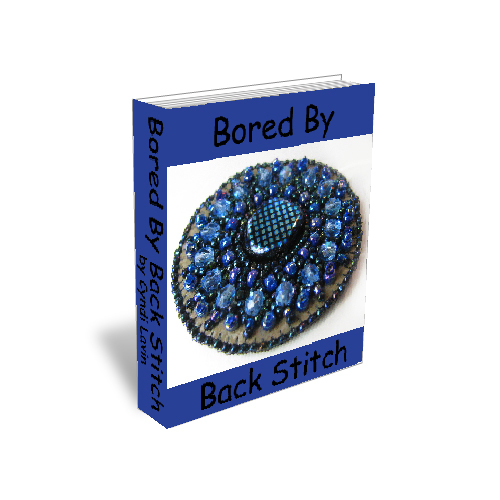 Bored By Back Stitch will teach you how to create twelve different bead embroidery motifs, using nine different beadweaving stitches. 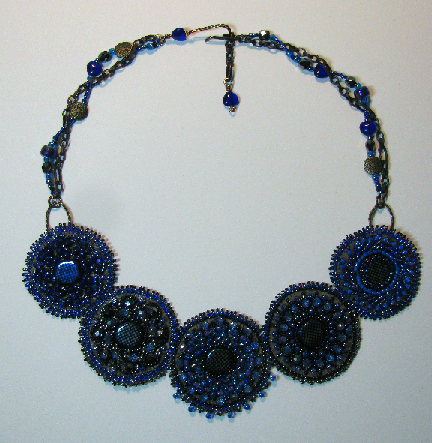 Learn how beadweaving stitches can be morphed into beautiful bead embroidered motifs, created to surround and enhance your cabochons or accent beads. The specific motifs you will learn in Bored By Back Stitch are designs that use embroidered forms of basic peyote, Cellini spiral peyote, brick, Russian spiral, herringbone, chevron chain, right angle weave, square, African helix, and double or single St Petersburg chain. In addition, there are step-by-step instructions for three projects to help you use your motifs, one of which is shown above. Just purchased, Cyndi!! Now to read tonight while watching Tigers play baseball!! I have two other projects to finish up then perhaps play with some of your latest techniques!! thanks again! I've been away from beading and I think this will really get my juices flowing again. I'm off to order now. I know it will be good. I have two of your previous books and they are great! I think I mentioned to you before that you are the reason I bought my first SEED bead!! Carol, I am willing to take full responsibility for your seed bead habit...you can just blame it all on me if it helps ;-) Thanks for your message; I look forward to seeing your new work! Please put this on Amazon for the Kindle.